A Regency Gilt Convex Mirror, the outer rim reeded with bows sweeping over the reeding. The deep inner edge set with corvetto balls and an egg and dart moulding. 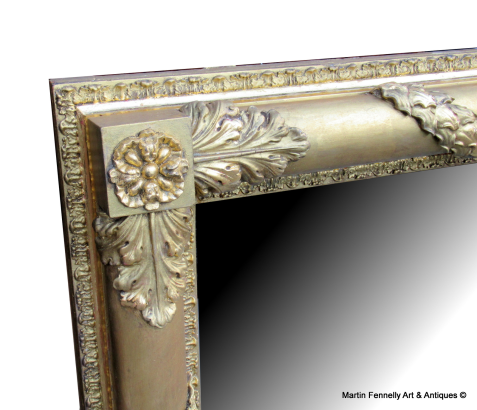 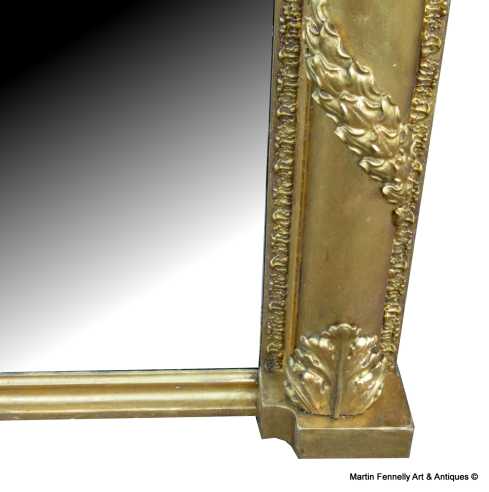 This is a Superb quality English Regency Overmantel Mirror dating to Circa 1820. 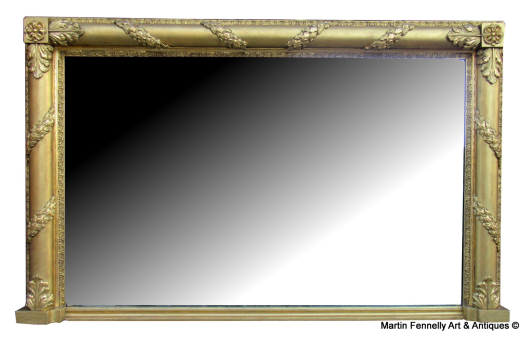 It has the original Mirror and back. Excellent Condition.